Hello! It's feeling quite Autumnal now isn't it. I've been loving all the sunshine and warm weather we've had the last week or so (shame there wasn't more of that in the school holidays) but there's a definite chill in the mornings and evenings. The leaves are turning and we've found a few conkers already! 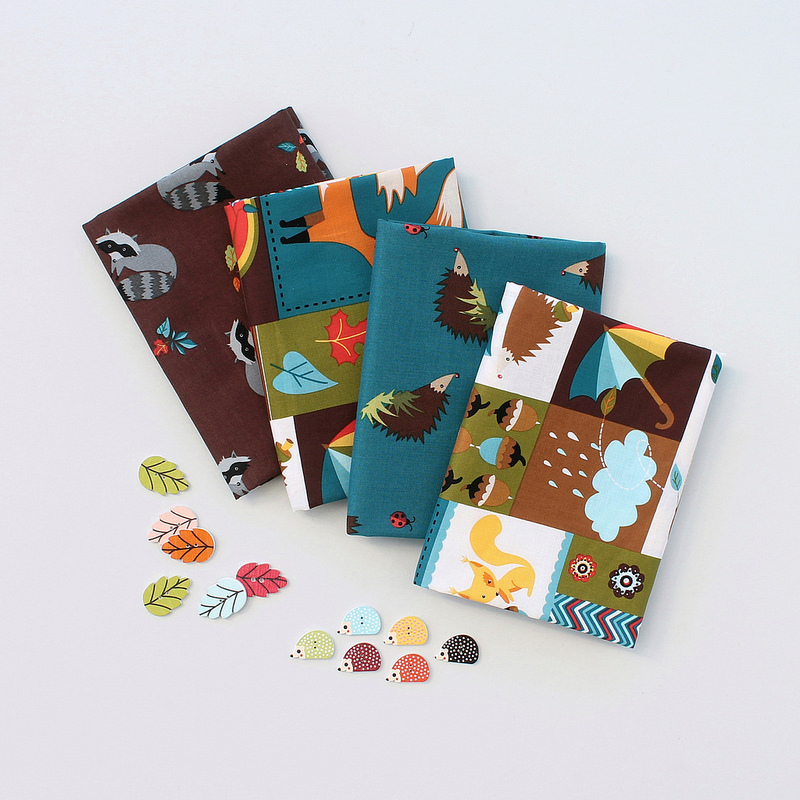 We've had lots of cute new Autumn fabrics arriving in the shop, like these fun hedgehogs and raccoons. I especially love the colourful patchwork style print featuring foxes, brolly's and rainclouds. Lovely Autumnal goodness. Thanks for opportunity! Gorgeous fabric, so glad I have just found you and thank you for the giveaway! my little girl loves woodland patterns! she's got a stuffed cordy fox and raccoon!! It has been so hot here. I am ready for fall. Cutest fabric ever! My nephew has a pet hedgehog, so this is perfect! What a perfectly delightful autumn giveaway bundle. Thanks for the chance! very cool fabric and buttons!!! !